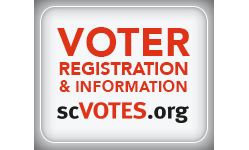 Join South Enders to hear guest speakers, discuss voter outreach and voter registration at special events across Southern Horry County. Our location at the Brickhouse Lounge (at Surfside Bowl next to Dagwood’s) is fully accessible to all – no more stairs! One fun way to donate: we’ll “enjoy” some holiday “Care-eoke!”. Pay $5.00 to sing or $10.00 to request someone Else sing a holiday tune!